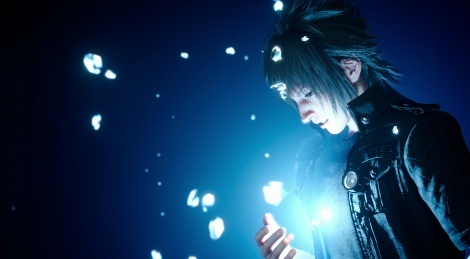 If you expected to read a full (or even partial) review of Final Fantasy XV on Gamersyde, you're in for a big surprise. Indeed, Square-Enix did not consider us worthy of giving you our opinion about the game, so that's why we we were only sent a code today. Thankfully, one of our contacts at a local retailer was kind enough to lend us a PS4 copy last Wednesday, and we have been working hard at preparing a fair amount of videos ever since. Inside, you will find footage from the PS4 version (4k and 1080p) and the base PS4 one, along with a few FPS Analysis videos. We hope you'll be able to do without a full review, especially since the real professionals have their own up by now, which we advise you to check out. When it comes to true HQ videos though, no one can compete with us just yet. Enjoy! Unless mentioned, all the PS4 Pro videos were captured in Lite mode as the framerate is a lot smoother (though limited to 30 fps for now). The High mode is clealrly crisper, but the frame pacing issues are quite annoying. the same goes with the base PS4 version, which looks on par with the Lite mode on Pro, but suffers from frame pacing issues and occasional slowdowns in combat. Our FPS Analysis videos were either recorded in 4K and resized in 1080p (it was the case for our High Mode FPS videos), or captured at 1080p while the game was playing at 4K, our card having downsampled the game on Amarec. Great and comprehensive! Thanks! I have the game now, but I will be downloading your videos. Overall the game is pretty stunning! 22 videos, wow, that's a lot of work, well done! Thank you all for your hard works. Might actually pick this up. First time since crisis core i've actually liked what i've seen of a final fantasy game. Might get a PS4 Pro for this. I never thought the day would come. An open world fantasy game that allows me to cruise around in a convertible, fighting mythical beast as a sword wielding, magic throwing boy band. Oh, and all this action is set to a wonderful new age folk score. Texture filtering and AA are really great on high mode, not to mention better ambient occlusion and shadow quality. Wow, I will seed these for about a month to help with bandwidth! The reviews are in and they're not too bad! some really good and others pretty decent. The other interesting thing also to point, some reviewers have actually scored XV lower than the original FFXIII. Probably they're unrelated based on different subjects. while FFXIII didn't impact as high compared to the other FF games, i actually thought it was a pretty good game by it's self. I'm still playing it on steam actually. it had lots of different characters. insane combat difficulty too. Jeez, looking at that base PS4 video I just realize how bad the Xbox One version really is when it comes to visuals. With that I solely mean the blurry look overall in the X1 version, especially noticeable on the characters but also the game world itself overall. I don't get it because I don't see it in the PS4 video at all. Probably the first multiplatform game where the difference is this striking. It looks passable on my TV because I cranked up the sharpness setting and put super resolution at high. Two settings that totally ruin the look of most of my other games but here for FFXV it makes the thing less blurry, sigh. Yep. 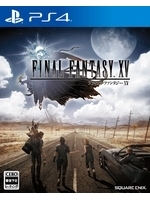 Honestly, if the resolution of this game is make or break for you, get the PS4 version. With that I solely mean the blurry look overall in the X1 version, especially noticeable on the characters but also the game world itself overall. I don't get it because I don't see it in the PS4 video at all. I'm really enjoying the game, I mean, I knew I would, but I can feel myself falling into a stupor of lost hours. I keep hearing this and i realize that, yet we did have Witcher 3 in 900p looking SO much more crystal clear than FFXV. We have many 720p or slightly higher games on Xbox One but never do they have this soft/blurry look. Maybe it's the AA solution causing it. I'ts looking pretty solid in the videos. I actually don't mind waiting a while longer to see what the higher spec versions are like. some true 60 fps ultra settings bundled with all dlc would be a nice deal.